Made of soft Microfiber and Ripstop Nylon, COCOON Eye Shades offer comfort during travelling. Eye Shades De Luxe are shaped like sun glasses and designed to avoid pressure against your eyes. 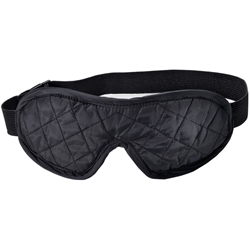 But also the standard Eye Shades are very soft against tired eyes. Both versions come with adjustable straps, ear plugs and a nylon carrier bag.